Don’t let an autoimmune disorder leave you torn apartlearn to mend from the inside out. The occurrence of autoimmune illnesses has spiked dramatically over the last forty years. MS, rheumatoid arthritis, and fibromyalgia are plaguing people worldwide. The suffering is vast, and the dependency on medication and the amount of physician care involved are overwhelming the health-care system. Most disturbing is that people do not necessarily heal from diseases like lupus or chronic fatigue syndromethey merely manage their disability. 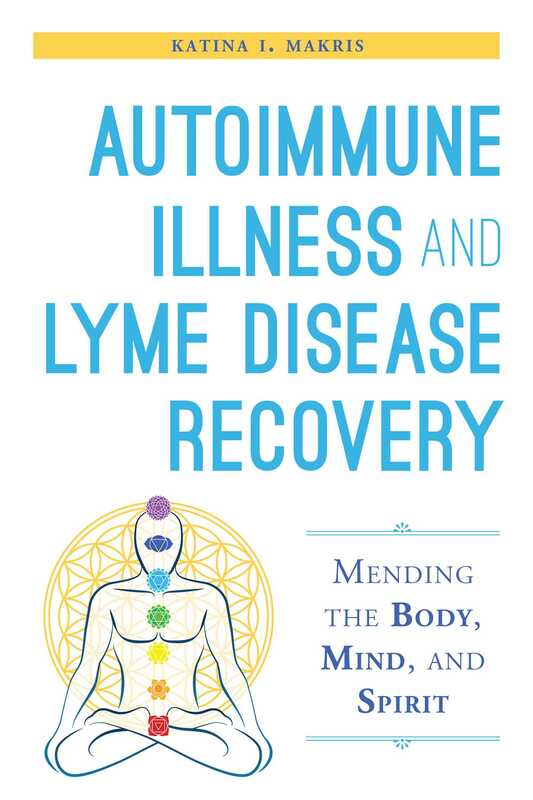 Katina I. Makris, veteran natural health-care practitioner and former sufferer of CFS, fibromyalgia, and Lyme, carefully explains the mechanisms at play with autoimmune illness. The body is not compartmentalized into illness symptomology, but is integrated and whole; the mind-body-spirit are entwined as one, searching for balance or homeostasis,” she writes. With clear insight into our seven energy chakra centers and the correlation to our bodily systems and specific emotional interplay, Autoimmune Illness and Lyme Disease Recovery Guide is a manual and workbook, educating readers on the role of Integrative Medicine and dietary and lifestyle management for optimizing recovery potentials, as well as how to ignite the mind-body healing pathway. Makris shows us how to attune to the innate healing gifts we all bear. Instead of being fragmented and dependent on outside sources such as drugs and doctors, the tools Makris offers teach us how to mend ourselvesbecause when we are whole, we are well.